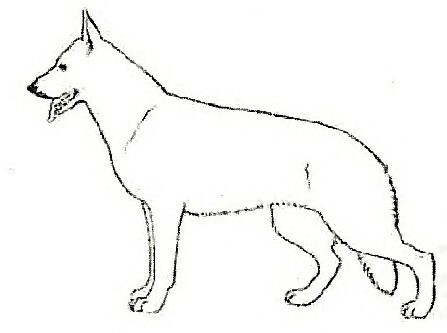 Through the 1920’s German breeders advocating for a strict wolf-like coloration breed standard constantly increased pressure within the German club to eliminate white dogs from the breeding program. In 1933 the German Shepherd Dog Club of Germany updated their breed standard to officially forbid the breeding and registration of white coat dogs or even dark coat dogs proven to have produced litters with white puppies. The Nazis so extensively employed German Shepherd Dogs in war duties during WWII that the breed was nearly extinguished in <?xml:namespace prefix = st1 ns = "urn:schemas-microsoft-com:office:smarttags" />Europe at war's end. Of the few German Shepherd dogs available for breeding in post WWII East and West Germany, only the dogs thought to have no white coats in their family tree were used for breeding. The German Club has strictly enforced the “no white coats” breed standard restriction to this day. However, this left the White Shepherds of 1939 in ample supply (those not killed outright at birth) and small numbers of them were trained at Röntgental outside of Berlin between 1941-42 for use in a covert operation by the German Army. By late 1942 the dogs were ready and were secretly shipped to North Africa via Ju-52 transport to the Deutsches Afrika Korps (DAK). Ousseltia, Tunisia - Allied troops held the western edge of a little valley, and the Germans and Italian forces the eastern side. The battle went back and forth, with each side trying for a knockout blow. An American lieutenant and two sergeants were sent out to scout the enemy positions. After edging their way slowly to the eastern side, they suddenly spotted a pure white dog, about fifty feet ahead of them. The dog stood as silent as death. He didn't bark or growl a warning as a sentry dog would. Instead he stood there like a statue, head erect and tail straight out behind him. As if he was pointing! The silence was broken by machine gun fire, hitting one of the men, both his legs shattered. The others had to leave him. Later, a well armed patrol was sent out to find him, again near the eastern edge of the valley, the white dog appeared again. When the group finally reached the spot where the wounded man had fallen, the man was gone. To all appearances the dog had hunted him out and returned to the Germans, who found him first. 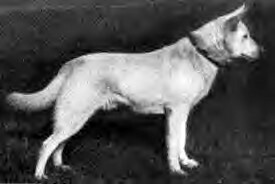 Other white dogs, were later observed, in the Ousseltia Valley, where groups of three or four would prowl through the British and American positions, pointed, then returned to their line. Apparently the German snipers were using them to point the enemy! 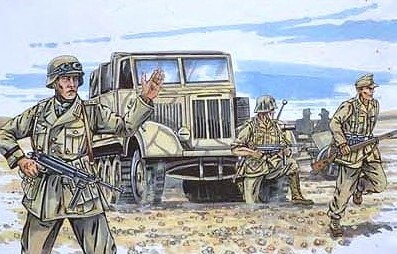 Towards the end of the African Campaign, both the German Afrika Korps and Italian armies were forced to abandon most of their dogs during their rapid withdrawal in the North African desert. It is interesting to note that while most breeds of dogs used by the Italians and Germans were found - not a trace of the mysterious white dogs was ever discovered. They had been airlifted out. Last week Lieut. Paul Robarge and two sergeants left the U.S. lines in central Tunisia to scout enemy positions. On the eastern side of a small valley separating Axis and Allied positions, Robarge and his men were startled by a medium-sized white dog, which stood stock-still and pointed toward them. A few minutes later enemy rifle fire crippled one of the sergeants in both legs. His companions had to leave him. That evening Robarge returned with a stretcher and guard party. While crossing the same valley they again saw the white dog stalking them. When a sergeant raised, his rifle the dog reacted like a well-trained man, dropped to his stomach and rolled out of sight into a gully. Robarge's party reached the spot where the wounded sergeant had been hidden and found him gone. Apparently the dog had led the Germans to him. Other infantrymen have noted the strange behavior of Ousseltia Valley dogs. Captain Maynard Files reported that a white dog approached his hidden mountain observation post, pointed. A doughboy in a forward foxhole told of groups of three and four dogs roaming the valley in packs. Another soldier said that the dogs seemed to emerge from the same spot as if sent out by a trainer. The southern defeat (see below) postponed a real investigation of the Ousseltia dogs, but American soldiers know that the U.S. Army is also training dogs. 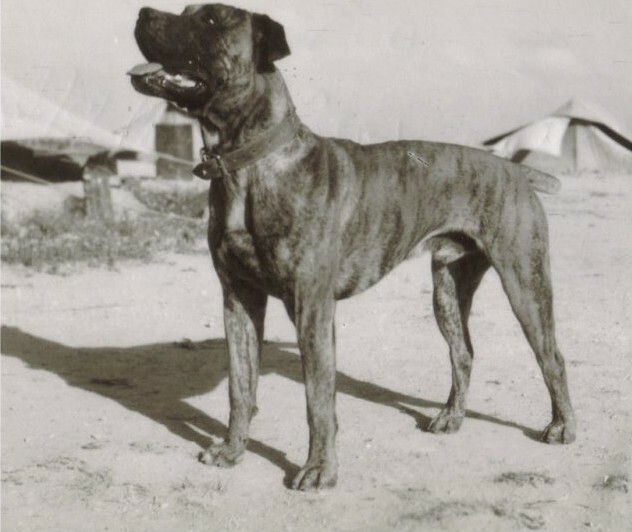 The Americans did train 140 M-Dogs (Mine Dogs) for use in North Africa but the proved a disappointment, not being able to function under warfare conditions. While it has been suggested that the mystery white German dogs were any breed from German pointers to white Boxers and white Spitz, the former were too small and the latter too large and distinguishable to be used in the desert. 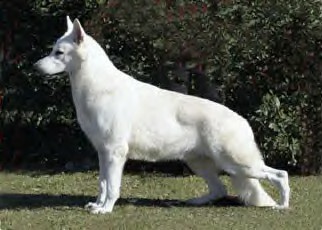 Although the Allied report is of a “medium” size dog, the White Shepherds would have been short hairs and much leaner in the desert. White Shepherds were also tried out on the Eastern Front to blend in with the snow, but Soviet military policy was to shoot any dog on the battlefield due to their bad training of their own war dogs used for blowing up German tanks. 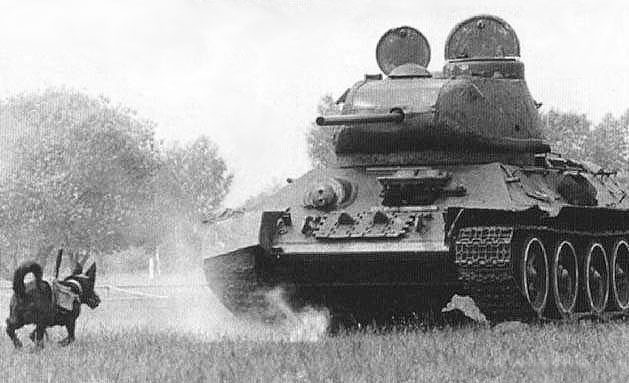 More often than not, Soviet mine dogs that trained with Soviet tanks tended to attack Soviet tanks in the field rather than German ones! 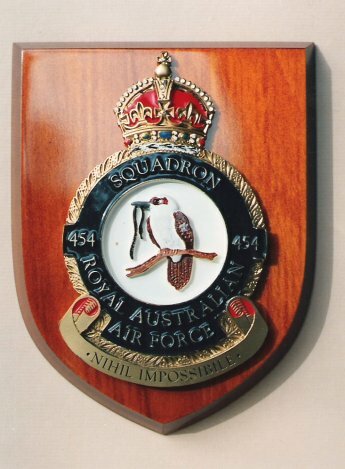 Was on Squadron strength when we arrived and had an interesting history. 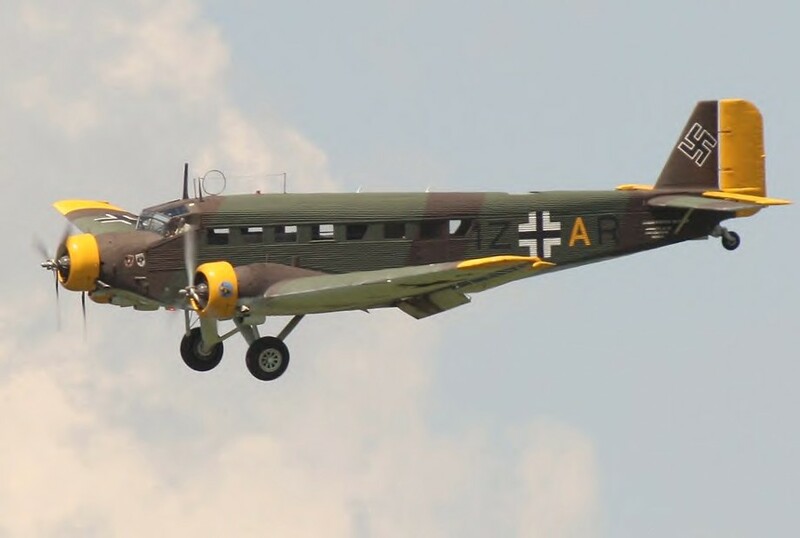 Originally belonging to Rommel's Afrika Korps he was unable to keep up with them as they hurried West after El Alamein, and decided he would be better off on the other side, so he joined 454 Squadron. Butch would occasionally become bored with life and to alleviate it he would run up one side of someone's tent and slide down the other side. This did the tent no good at all, and was actively discouraged by its occupants. I can't recall ever seeing him again after we went to Italy. Maybe he again transferred allegiance and joined 459 when they occupied our former home at Berka III. I must ask my friend Roy Mahoney whom I see occasionally.